I've been running it since Friday afternoon and only one issue, the issue with installing .deb files with gdebi. Updated libraries so now ESO looks/plays perfectly with DXVK. Topic: Can I safely remove GIMP and install the latest Flatpack version? Re: Can I safely remove GIMP and install the latest Flatpack version? 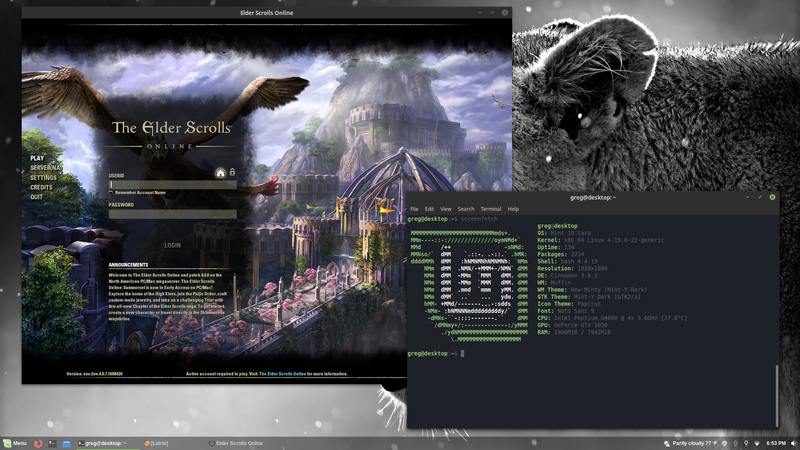 I recently switched back to Linux Mint (18.3) Cinnamon and I uninstalled the pre-installed Gimp (through Software Manager) and installed the Flatpak one. I've had no problems. I don't know if it had to leave some dependencies behind or not but Cinnamon still works and I have the new Gimp.